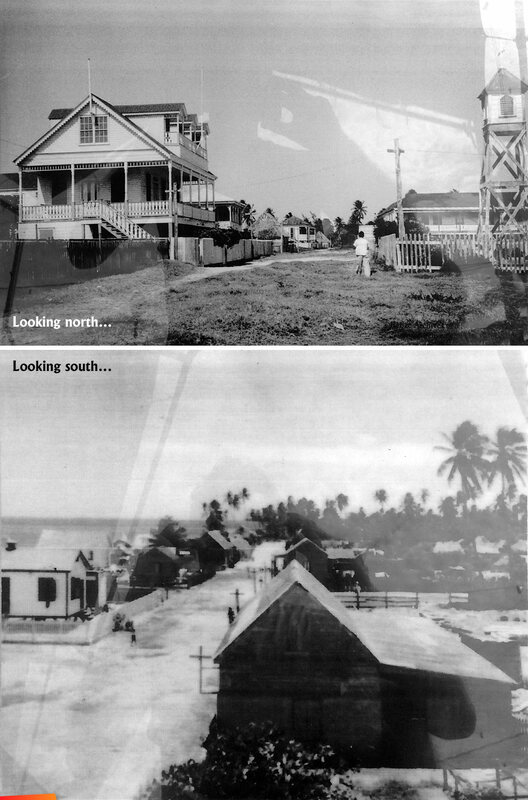 San Pedro Front street (more like a path in the first picture...), long ago. 2 photos taken from the Central park area, one looking north, the other looking south. They were not taken at the same time. The top photo was taken quite a few years before the second one, I'd guess, by comparing the width of Front Street in the two photos.